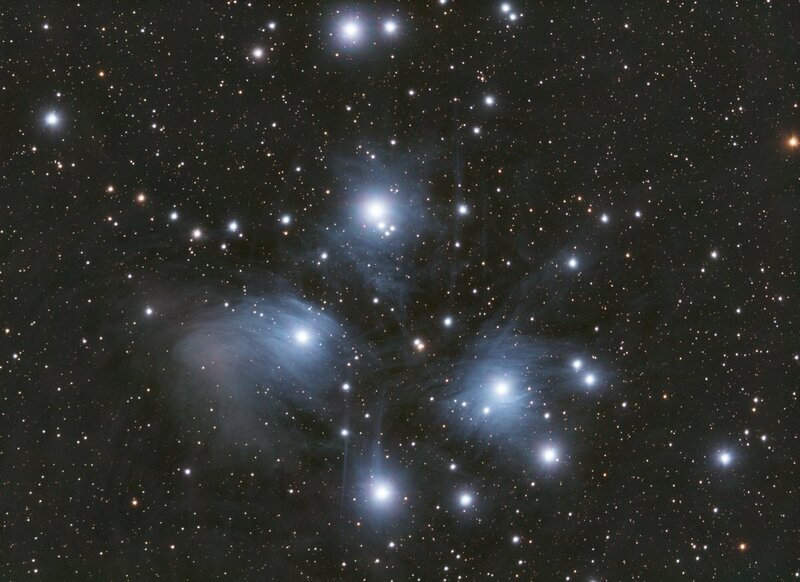 Pleiades...bright, and bringing out the microlens diffraction? Ironic. I always start with Pleiades. ;P This was my first DSO that I imaged on my regular old photography tripod way back in early 2013, then again with my Atlas in 2014, and here I am again, first full LRGB image with the ASI1600 in 2016. Anyway. The real issue is the bigger stars...and their halos. I am wondering if I've finally discovered a microlens diffraction issue with the ASI1600? Or could this be caused by something else? It isn't as bad as many issues I've seen...however it is a bit unsightly with the purple and green in there. 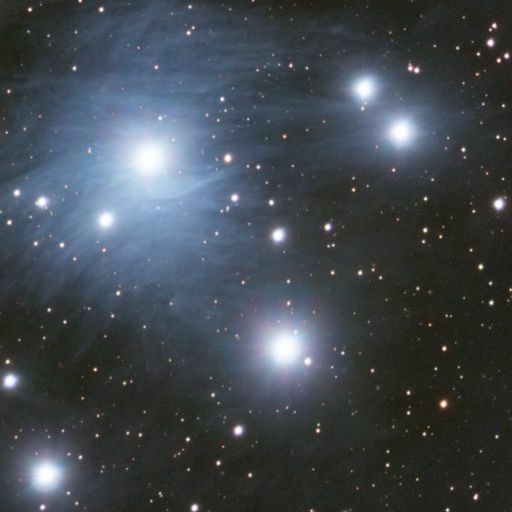 It does only seem to occur on the brightest of the bright stars...and Pleiades is kind of an exception in that regard. Still...I'm wondering if I just have to live with this...or whether there might be some cause that I may have control over. Thanks for any insights! Sensor overload? Not good for an astrocam. If it's new send it back and get another one just IMHO. What in the world is sensor overload? I've never heard of such a thing. 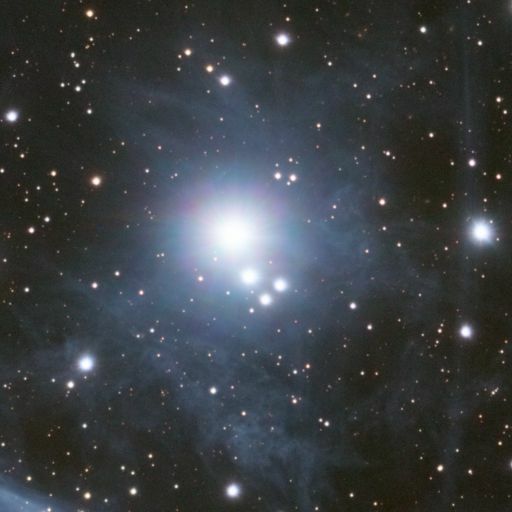 Very ironic that both of us within hours posted threads on the same issue with the same camera, with the exact same Pleiades star cropped. I was hoping that you, of anyone, could help me understand it. Oh well. I commonly get microlens diffraction. It is more obvious at longer focal length or very bright stars, both together and it gets really bad. It presents as a broad 8 pointed pattern with rainbow highlights. I usually end up using some defringing color adjustments to kill the color variation, because I think it is distracting. But, I see it all the time. Look through my images and you'll see it. It's doesn't look exactly like yours but it's hard to tell because those stars are so bright. I am not sure if the microlenses could cause fringing, or whether something else is... I think the fringing might be due to some interaction between the filters and some other optical element, but I don't know for sure. John Hayes is really the guy who would know, I think. Edited by Jon Rista, 07 November 2016 - 01:58 PM. What are you using to defring? I find it distracting as well...but, it's just on the border of "I absolutely must fix this!" and "It's annoying, but I might be able to live with it." I personally like the defringing in PS Camera Raw for ease of use, but there are other ways to handle in PS. I typically need to use some form of this correction in my images due to various inadequacies in my hardware. In PI, I have no idea. I've never tried. Edit: the scale of your fringing may be more that what those tools are designed to handle. Not sure. But the moire tool may be of some use for that red channel interference looking issue. Edited by Thirteen, 07 November 2016 - 02:10 PM. It's a very interesting pattern you have there Jon! It's not at all obvious that you're seeing the same thing here though - especially with that "interference" fringing. Gary's example also doesn't match what we were discussing in that thread. Can you do a H-alpha version? The narrowband might give a very distinctive pattern that might help determine the cause. Even better if you can do a couple of narrowband filters. Edited by sharkmelley, 07 November 2016 - 02:26 PM. I should have mentioned that it seems to work better as an adjustment brush. Usually, I'm applying it on areas (stars) that are standalone on a neutral background. Yes, I have to resaturate after applying defringing. But, the scale and the color gradient make your application a bit different than what I would typically use it for. Edited by Thirteen, 07 November 2016 - 02:32 PM. I can certainly get data in Ha, SII and OIII. Next chance, I'll grab some. I agree, it doesn't look the same as the examples from that thread...however it does change from channel to channel, which is interesting. So how much hard drive space do 1100 subs take up? I got exactly the same effect when using a DSLR (Canon 550D) on Mirach, although (a) Mirach is brighter than any of the Pleiades and (b) the effect was FAR more pronounced. I assumed it was due to internal reflections (I used a SCT), but never revisited it. I'd be curious to know the true cause, too. Whether or not it is related to your issue, I don't know. HAHAHA . I remember my hard drive being only 80MB my first year at university. And I thought that was HUGE! How long does it take you to process all those subs? I know with my dog of a computer, it takes quite a long time to calibrate only 20-30 subs. Edited by Daniel Dance, 07 November 2016 - 05:11 PM. 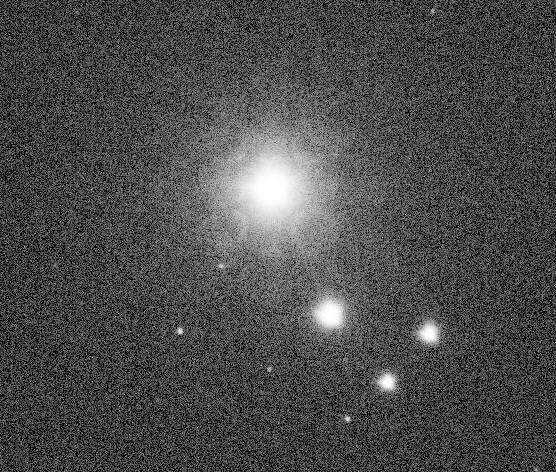 FYI, I never see this effect when imaging narrowband with this camera. Just not enough light to make it happen. Maybe if I tried 15 minute subs . . .
Oh yeah, it's definitely due to the big, bright stars. There may be a complex of reflections and diffraction/interference effects occurring all at once. 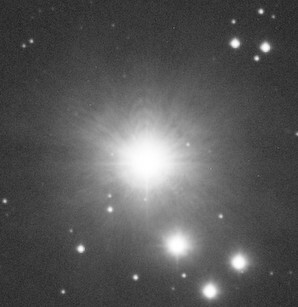 I don't usually image objects with such bright stars...and, fundamentally, most of this was an experiment so I did not put a lot of effort into getting the best data. I may be able to mitigate the problem by using a different gain, or different exposures, etc. I don't intend this to be normal. I was working at Gain 75 when I was testing, and I acquired two sets of data, 560 subs each. I was limited to 10s L subs at Gain 75...thats as much as I could handle before clipping with my LP. I acquired a lot to make sure I averaged out as much random and shot noise as I could. I've been testing at Gain 0 now, and I can get 30-60s L subs, and 120-240s RGB subs. So normally, I don't think I'll be betting more than about 300-400 subs in L, and maybe 100 in RGB. That will be far easier to manage. Here is a thread where I was able to simulate the pattern pretty well. There are other artifacts that are harder to simulate but many fit nicely. There is not much you can do about it. And if it is diffraction there will be colour fringing and you can't do anything there either. I will see how my camera behaves. Let me know how it goes, Frank. The more I work with the data, the less it seems there will be any easy way to correct it. I think Jason's approach with adjustment brushes in Camera Raw is the most effective so far, but nothing I've tried is ideal. Jon, I use adjustment brushes in Lightroom to address the bright star pattern issues, decreasing the amount of both saturation and clarity. It's not an ideal fix, but at least it doesn't bother me as much to look at it.